Folding armchair -Dolphin. Oak, cane, brass. Estimated 40000–60000 £, sold 76900 £. Hans J. Wegner, Shell Chair. 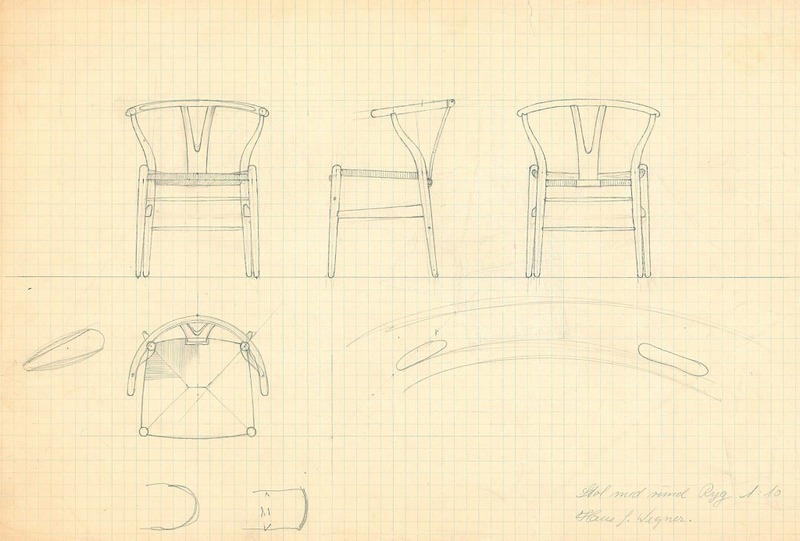 Sketches of Wishbone Chair, 1950.